Home > News > Philip Sarrel featured in PBS "Hot Flash Havoc"
In addition to providing basic information about menopause, the program addresses misinformation about hormone therapy and sets the record straight. Sarrel’s role in the documentary helps explain how hormone therapy not only controls symptoms of menopause but also reduces the risk for major diseases including atherosclerosis and osteoporosis. Chosen as a finalist in the PBS national selection process for programs to be shown in conjunction with their annual fundraising, Hot Flash Havoc has been bought by 80% of the nation’s PBS stations and is anticipated to be seen by 91,000,000 households. Sarrel presents much of the work he presented last September as part of the Yale School of Medicine’s course Changing Concepts: Re-Thinking the Role of Estrogens in the Primary Prevention of Cardiovascular Disease in Women. The course will be updated for presentation on September 30 of this year and is open to both medical practitioners and the general public. PBS aired Hot Flash Havoc on March 5th and 6th in New York and Connecticut, and it will air again on Channel 13 on March 9 at 9:30 a.m., and March 12 at 3:00 a.m. and 8:00 a.m. The documentary will also be aired on WLIW on March 12 at 7:00 p.m., March 15 at 3:30 p.m. and 7:30 p.m., and March 17 at 2:00 a.m. For further information, see hotflashhavoc.com. 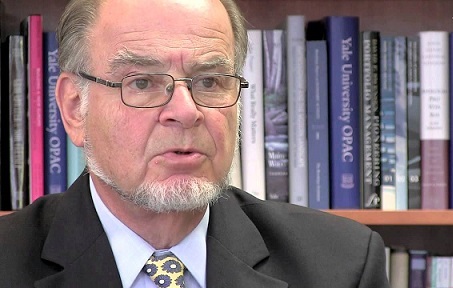 Philip Sarrel is a professor emeritus of obstetrics, gynecology, reproductive sciences, and psychiatry at Yale.